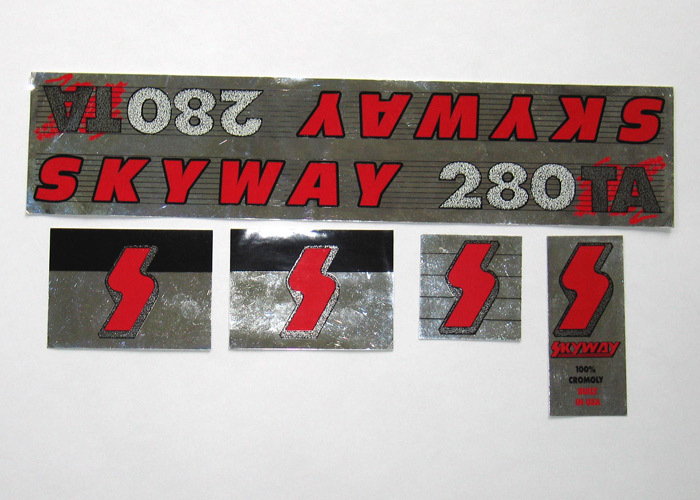 Set of NOS original decals for a Skyway 280TA BMX bike. Includes decals for the down tube, seat post tube, head tube and forks. This is not a reproduction set and is a new old stock set of 280TA decals.